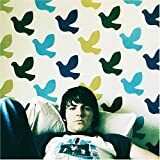 Filled with intensity and wise beyond his 19 years, Drake Bell�s lust for life nostalgic is surpassed only by his musical talents; singing, songwriting and guitar playing. With �Somehow�, Drake moves beyond melodic and melancholy with a haunting strength so lacking in music today. �And all that she could take/ lies at the bottom of a lake�, impresses a soul stirring image of a tortured psyche wrestling with the commission of a grave transgression, from which �she fell to her knees/ screaming God please� begging for absolution. As a spokesperson for this generation, Drake Bell has the intelligence, passion and talent to take us all back to a better time, and to move us forward with anticipation and fond memories. Which brings me to �Golden Days�. From there, Bell flows effortlessly into the brilliant Beatles homage �Down We Fall�. Enough said. I have been touched and amazed; this entire album is a reckoning for this and the next generation of musicians. There isn�t a bad song on the CD. And finally, the heart wrenching lyrics Drake belts out in �Telegraph� the CD�s title track, harkens back yet again to a timeless musical era and wraps things up quite nicely. Drake Bell is going places.